This part of our AA/FD adventure includes some great cars from Pennsylvania, Kentucky, New Jersey, Texas and Washington state. 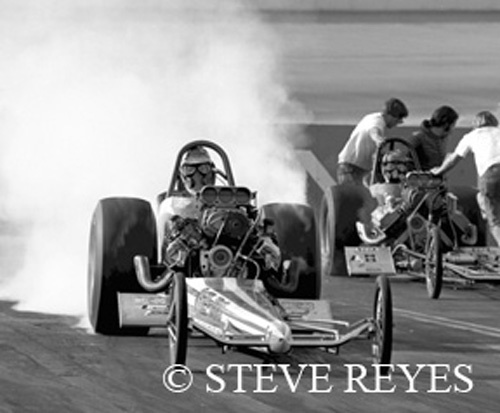 First off, we have a well-known California top fuel team of the Frantic Four; Weekly, Rivero, Fox and Holding breaking up in 1966. 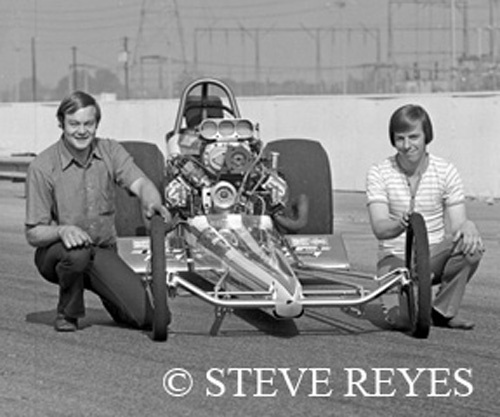 Pennsylvania speed shop owners Bob Keough and Chris Gans joined forces with former Frantic Four members, Jim Fox and Row Rivero to race the K&G speed shop AA/FD. The K&G Associates AA/FD raced nationwide from late 1966 to late 1969. 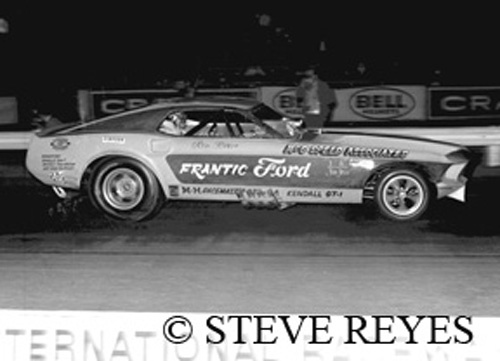 In the closing months of 1969, the team decided to forego top fuel for a mustang funny car. 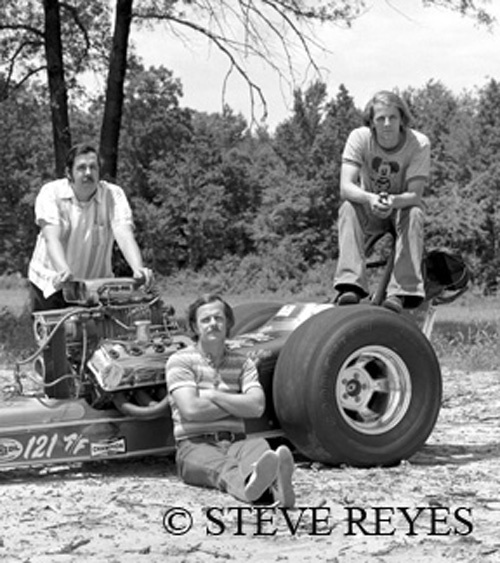 At the far east end of Pennsylvania, there resided a big-time fan favorite in East Coast top fuel wars, the Jade Grenade AA/FD owned by Bill Flurer, Pete Lenoff, and Teddy Thomas. 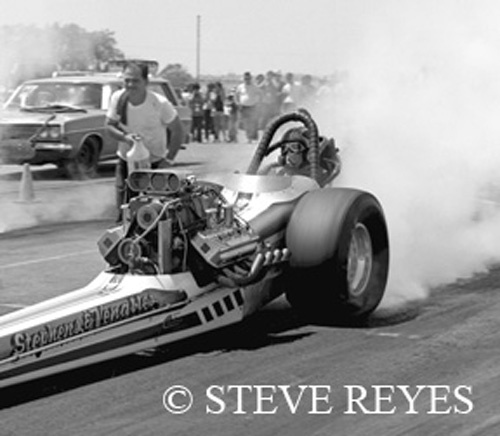 This sleek green machine set records up and down the Eastern seaboard and was a stand out in NHRA Division I top fuel racing in 1971. With Teddy Thomas at the controls, the Jade Grenade was a threat at local and national events. In Louisville, Kentucky there was the headquarters of car show magnet Carl Casper. 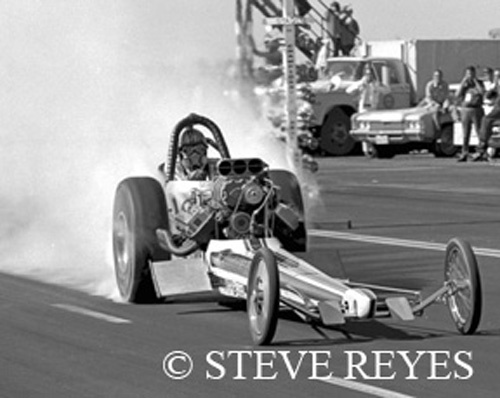 Casper was huge in the car show world but a lot of folks didn't know he was a big fan of top fuel dragsters. 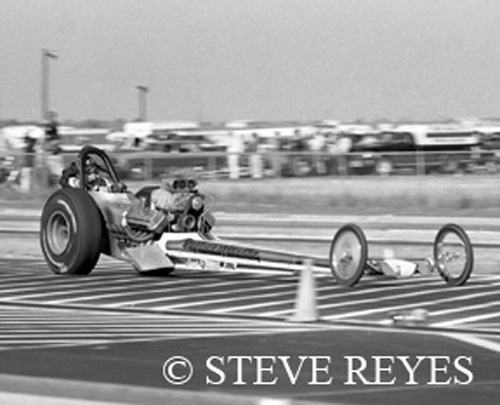 I saw his show and go AA/FD, the Galloping Ghost at Indy in 1969 with Butch Bryant driving. Casper got real serious in 1970 with an all new West Coast based AA/FD. 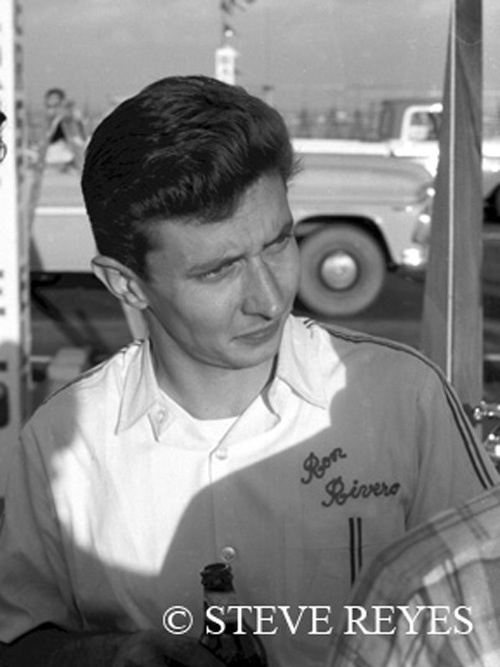 Don Long did the chassis and Keith Black supplied the power plant. Then all Carl needed was a stud driver for his Young American AA/FD. Fresh from his tenure with Mickey Thompson and his Mach I funny car, Danny Ongais found this way into the cockpit of Caspers' new AA/FD. Ongais did okay with his seat time in the Young American but 1971 saw Gary Cochran in the driver's seat. Cochran won top fuel at the AHRA Winternationals in Scottsdale, Arizona. 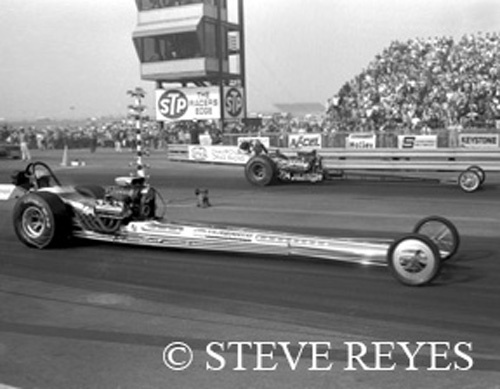 With the success of Garlits' rear engine top fuel car, the top fuel class was changed forever but the Young American was retired to spend time on the car show circuit. 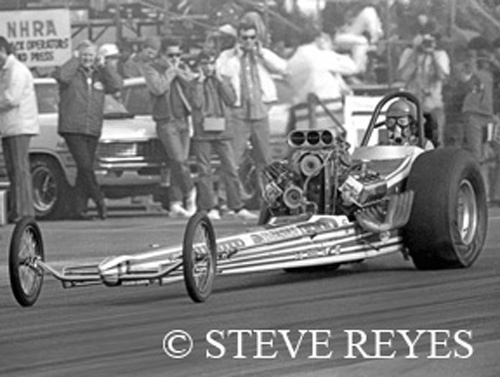 Now New Jersey isn't really a hotbed for top fuel but the Van Iderstine speed shop guys forever made their mark in NHRA national event history when they bought Tom McEwen's Hot Wheels AA/FD, put their own power plant in it, and tapped Art Marshall to shoe their "used car" AA/FD. 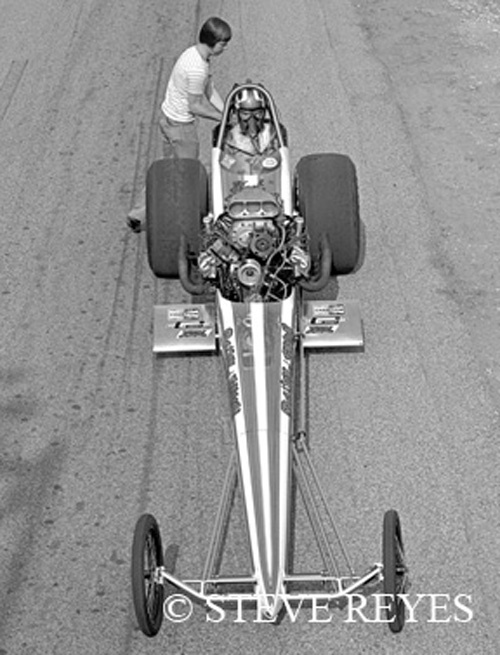 Art Marshall drove the second-hand AA/FD into fame and glory by being the last front engine car to win a NHRA national event at the 1972 Grandnational event in Canada. 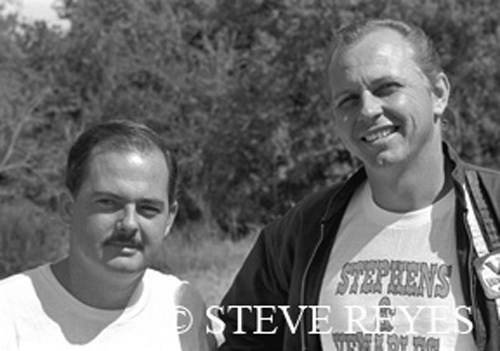 >From Jersey it is on to the Lonestar state of Texas where Stephens and Venables were big dogs in Texas top fuel racing. 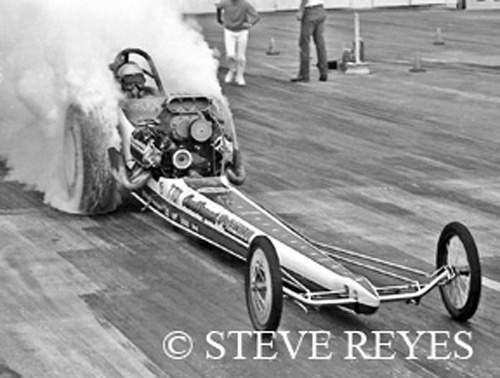 The likeable duo raced mainly in the Southwest and went on to race a rear engine top fuel car before venturing into funny car racing. If the name Venables seems familiar, the second-generation Dickie Venables is currently the crew chief for Don Schumacher/Matt Hagen' Mopar funny car. Last but not least, we make a stop in Washington state, home of the AA/FD duo of Dailey and Johnson. 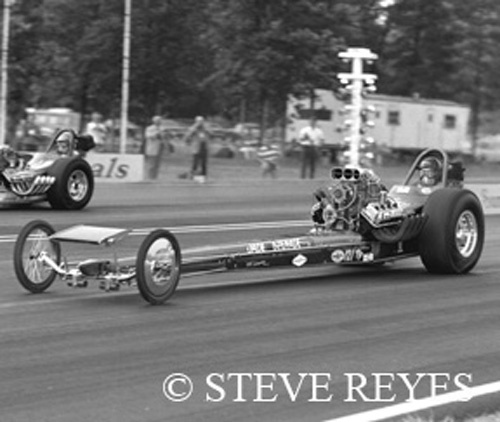 This upstart duo challenged Jerry "The King" Ruth to be the big dog in Northwest top fuel racing. 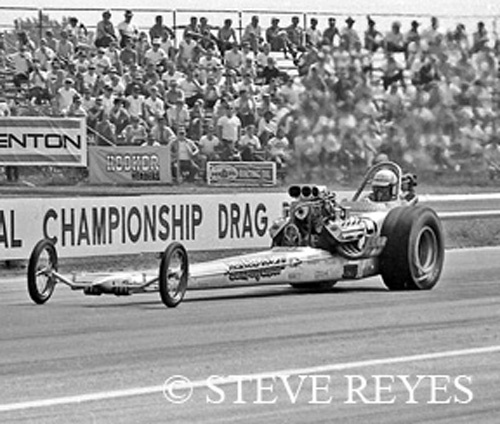 With "Gentleman" Hank Johnson driving, they were the last front engine dragster to win in 1971. Their Supernationals win was their biggest win for the pair. 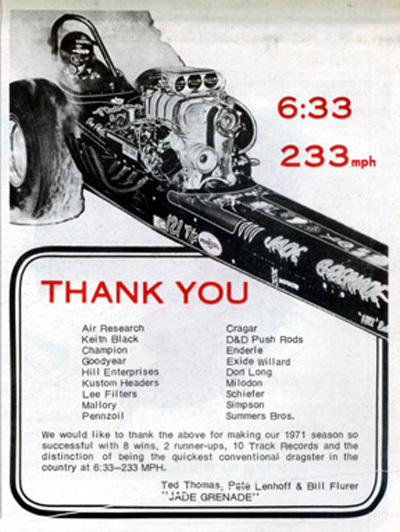 They did go rear engine racing for a short time but then the team split and Hank Johnson went funny car racing in his Mr. Auto Supply sponsored AA/FC. 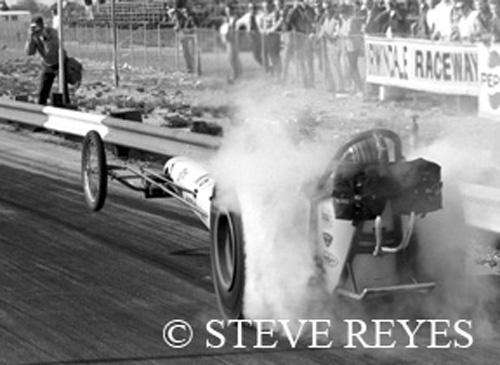 This is just another glimpse into top fuel racing at its prime. Stay tuned for more. If you wish to purchase prints of the photos below or any others, they may be obtained by contacting us at breyes@reyesontour.com. Other photos for purchase may be viewed by following the links at www.reyesontour.com. The last year the Frantic Four were together was 1965. K&G Associates AA/FD which was then based in Pennsylvania. 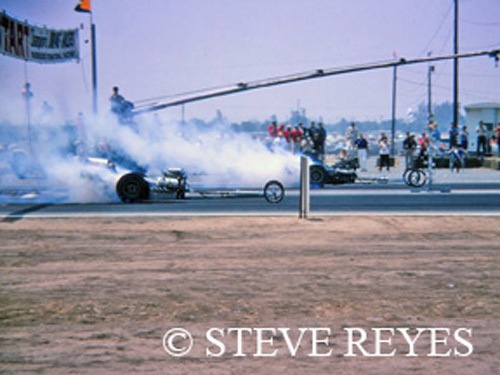 the new K&G team was the 1968 Bakersfield Smokers event. Ford Mustang funny car from Phil Bonner and left top fuel for funny car glory. 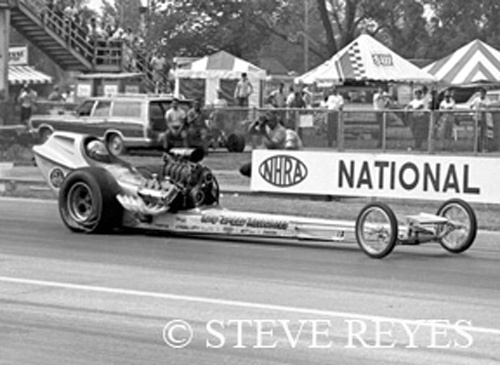 Car show icon Carl Casper loved drag racing and the top fuel class. 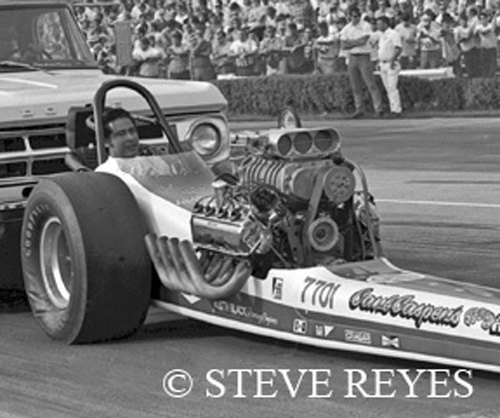 In 1969, Butch Bryant was the driver of Casper's Galloping Ghost AA/FD. in the seat of Casper's new Young American AA/FD. 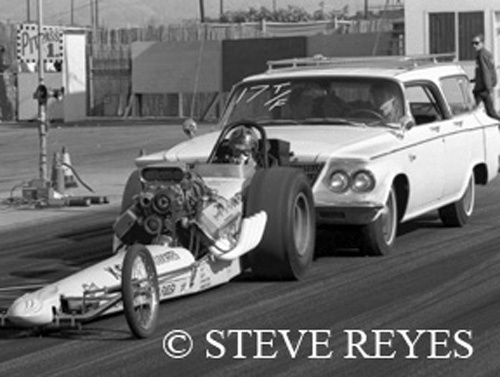 at the 1971 AHRA Winternationals at Scottsdale, Arizona. to win a NHRA national event. the Jade Grenade was the quickest AA/FD in the country. The trio made its mark in the switch to a rear engine Jade Grenade. winning AA/FD to come out of Washington state. 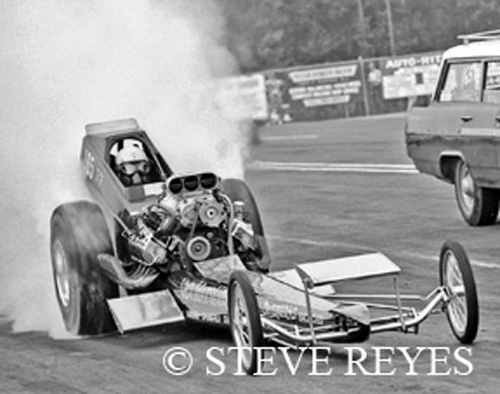 abandoned the top fuel classes for the better earning funny car class.